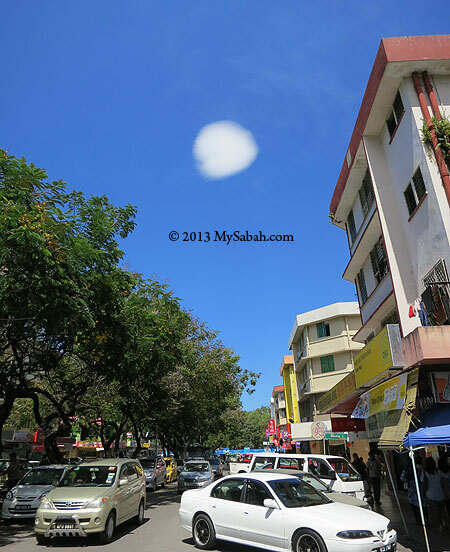 Today is a sunny day in Kota Kinabalu. 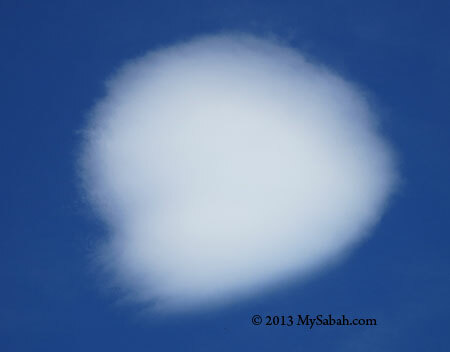 On my way for lunch around 1:30pm in Sinsuran, I noticed a “cute” cloud on the blue sky. 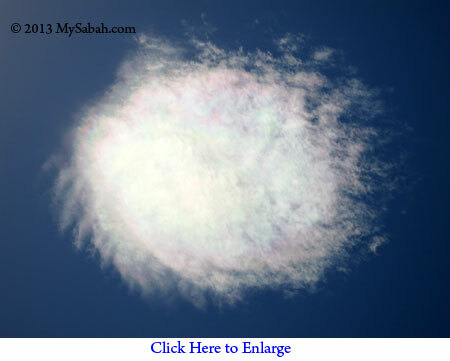 This cloud was round in shape and looked like a big hanging cotton ball in sky, so I just took a few photos and moved on. 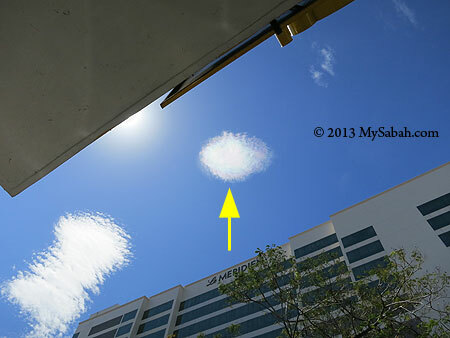 Then I saw another round cloud on top of Le Meridien Hotel. However, this one looked a bit different. Wow, it is a cloud with pink and green colors at its edge, so interesting. 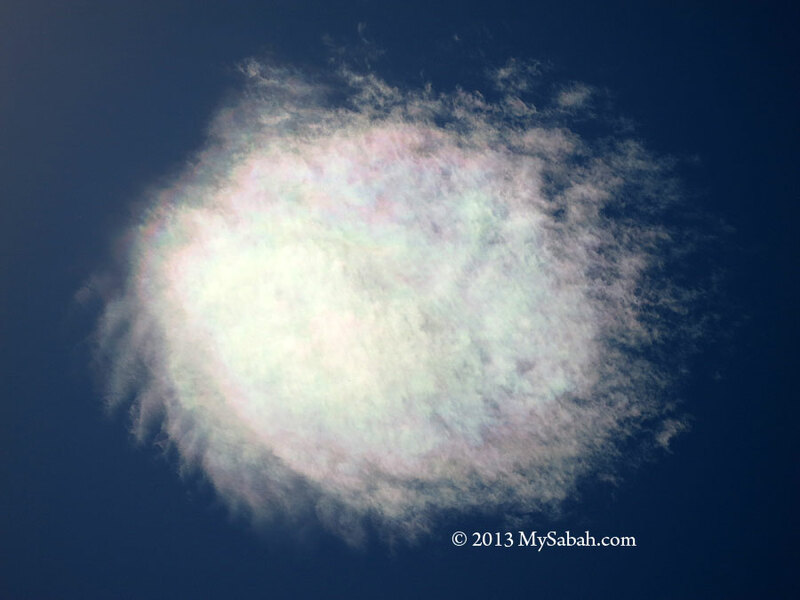 The sunset of Sabah also creates colorful cloud, but it is rare to see this in bright daytime. It must be a meteorological phenomenon with scientific explanation. Last year we even had Dragon Cloud. 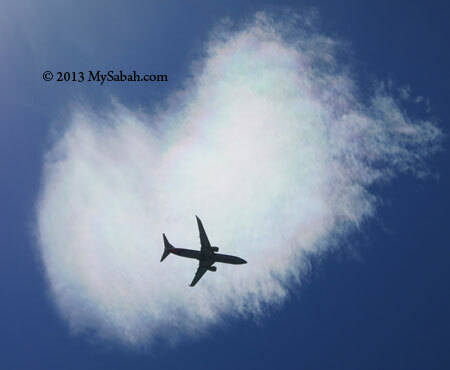 Pic: a plane flied pass the cloud. Not sure if the flight passengers can see the colors. 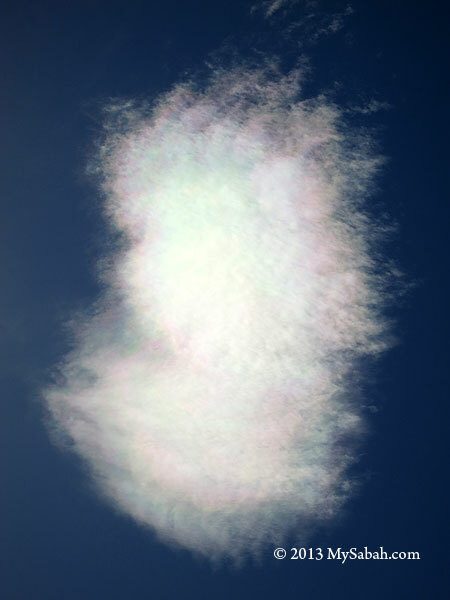 In Chinese belief, colorful cloud is the “transport” of god, goddess, Buddha and dragon. It is auspicious and a good omen. Let’s wish for a better year in Year of Snake. 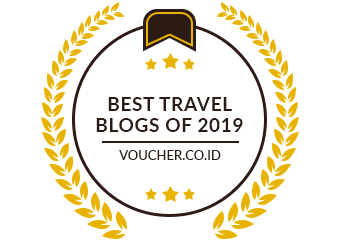 Ini Kali Lah!!! LOL (hope you got my joke).